How About Aramaic Lessons on the Web? It is with heaviest of hearts and a profound sense of loss that I write to inform our readers around the world of the death of a giant among the believers in the Assyrian Struggle. Mr. Aprim (Afram) Rayis, the former Secretary General of the Assyrian Universal Alliance, passed away this week, leaving behind an army of admirers and faithful friends. During some of the darkest days of Baathist regime's treatment of the Assyrians in Iraq, the War between Iran and Iraq, and the resulting en mass exodus of Assyrians from their homeland, Mr. Rayis provided us a sure and guiding hand. A native of Aradin in north Iraq and raised in the Chaldean Catholic Church, Mr. Rayis quickly became the symbol of the Assyrian unity during his years as member and the Secretary General of AUA (Khuyada Twilaya Atouraya). For much of the 1980's Mr. Rayis dominated the Assyrian political life. His leadership was marked by discipline, vision and a keen and penetrating intellect. He was fully dedicated to his nation and family. Working diligently to make a unified nation from different religious and linguistic backgrounds, he also stood tall among the individuals who believed in the tactical work required to help the simplest of individuals. To this end he personally spend much time, energy, and money to help the Assyrian refugees fleeing persecution and intolerance. "Aprim, as the Secretary General of the Assyrian Universal Alliancre, was the true reflection of the vision of this organisation. He was a Chaldean by faith and an Assyrian by nationality - a proud and true Assyrian. I just wish in the last three years he was in better health condition, in order to enter into the campaign and struggle of our nation," comments Mr. Daniel Crisby, also a former Secretary General of the Assyrian Universal Alliance between April 1989 and May 1994. Mr. Rayis contributed greatly to the Assyrian Universal Alliance's empowring motto: One Name, One Purpose, One Leadership for One Nation. In fact he breathed and lived this conviction everyday of his life. "Aprim was a very capable and organized person and fulfilled his duties in a very honest and dedicated manner. He was in love with his nation of "Assyria". He was a man interested in creating understanding and unity among all factions. He never entered into a conflict with any Assyrian organization. Aprim accomplished his duties and gained respect for himself and his family. There is hardly a word to say against Aprim. Now a word," continues Mr. Crisby in describing his friend. Mr. Rayis' legacy is continued through the services rendered by his children - Mrs. Janey Golani and Mr. James Rayis - in their tireless efforts to fullfill their obligations to the Assyrian nation. Mrs. Golani is also the wife of Mr. Atour Golani, the recent past president of the Assyrian American National Federation. James, is a lawyer in Atlanta and the vice chair of the Chicago-based ChaldoAssyrian American Advocacy Council. Zinda Magazine mourns the death of a great son of the Assyrian nation and extends its deepest sympathy to Mr. Rayis' family, friends, and the Assyrian people. His Grace Bishop Sarhad Jammo made a presentation in San Diego on Thursday, February 24, 2005. In his presentation, his Grace talked about the latest Iraqi elections and the reasons why the Suraye (Chaldeans, Assyrians, and Suryaye or Suryan) failed in that experience. He presented his ideas to remedy the situation for the upcoming elections. Mar Sarhad Jammo began by stating that this is a period where history is in the making. Within ten months, a new Iraq will emerge with a new constitution. This is the Suraye's last chance to secure a place in the new Iraq. His Grace stated that couple of years earlier, he made a presentation when the Ba'ath regime was still in power. He had a vision that this was coming. He said: I felt the urgency at the time to awaken my people because if I did not do that then who will. His Grace added: If I did not have the heart to say wake up who will then say it. He continued to add that some say that the Chaldeans were lagging in the national field. There is a reason for that and that is because they were concentrating on succeeding in business. We see our Assyrian brothers more into the national field, but everyone has his own circumstances. In Iraq, he said, Chaldeans did not leave … they remained, and when one remains and is under pressure, he must adapt with his environment. The Chaldeans adapted with the Iraqi people. The Chaldeans were smart; they waited for the right moment to present their case. He asserted that 70 – 75% of Suraye in Iraq are Chaldeans, which proves the point. It is easy for someone abroad to speak his mind; however, inside Iraq it was not the right time for Chaldeans to pursue national agenda. Might and glory is to stay in Iraq and not escape … it is not building empires abroad. The Chaldeans who left Iraq did not escape; they were looking for better opportunities and life. His Grace added that if we let the train pass us by today, we would be hurting our people in Iraq. The Chaldeans strength in Iraq gives strength to all Suraye and the weakness of Chaldeans in Iraq results in the weakness of all Suraye. Let this be the rule to remember by all nationalists. What did we learn from the elections, asked Mar Jammo. Well, you know a tree from its fruits. What were the results, which is the bottom line? The elections selected 275 members for the Iraqi National Assembly. Six Suraye are in Iraqi parliament, i.e. 2% of the seats. The six seats were as follows: One through Allawi's slate, four through the Kurdish slate, and only one through the Rafidayn slate # 204. This means that the Suraye won only one seat with a purely Suraye slate. The other four in the Kurdish slate did not win because of the Suraye vote, rather because of the Kurdish power. This Suraye seat of Yonadam Kanna was won because of the votes of around 18,000 in Iraq and 18,000 in the Diaspora who voted for slate # 204. Kurds make 18% of Iraqi population but they threw themselves into the elections passionately and won 25% of the Iraqi parliament seats. We know that 8,500,000 Iraqis voted out of the Iraqi population of around 26,000,000 to 27,000,000. This means that about one-third of the Iraqis voted. If we are 800,000 in Iraq and 400,000 in the Diaspora for a total of 1,200,000 (or even as low as 1,100,000) then one-third of that is 400,000 or 350,000 Suraye should have voted. However, only 36,000 Suraye voted (and that is 10% of the eligible voters). This was a disaster, said Bishop Jammo. We should have had 12 to 15 seats but got one. Of course, we have five more but those were not won through our own power. "Something is wrong … big time wrong," said the bishop. His Grace added: "I am first to blame … I did not vote." He asked: "Why is that"? He answered: Because there was not available any slate that attracted or convinced me. He continued, I think that is why most of Chaldeans, Assyrians, and Suryaye did not vote. His Grace asked: why did we have only 7,000 votes in Baghdad? We have at least 200,000 Chaldeans alone in Baghdad. Even if we say that we have 100,000 Chaldean voters in Baghdad, on top of Assyrians and Suryaye of course. Why did we have only 7,000 votes in Baghdad? This means that they were completely not convinced or attracted by any slate. We did not have a campaign for a convincing slate. We were negligent … all of us, starting from myself. The same applies here in America. 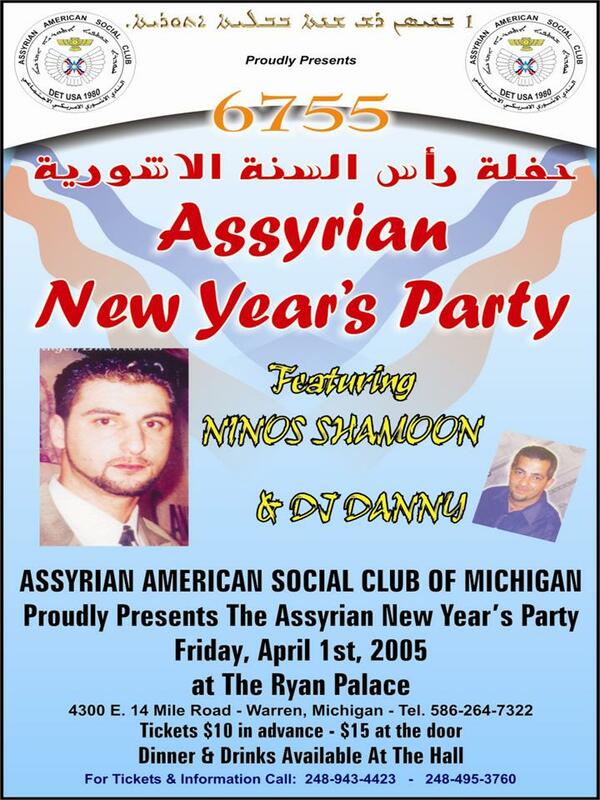 There are 150,000 Chaldeans and say 50,000 Assyrians for a total of 200,000 Suraye, he added. However, only 3,700 voted out of all these. Yes, we have problems in Nineveh Plain and other problems but how many seats would those specific problems have added? Another single seat perhaps. Bishop Jammo stated that mentioning all these issues does not give us the complete picture of the problem. How do we explain the results in Baghdad or Michigan, he asked. You see, explained Bishop Jammo, this problem is not today's or yesterday's. It is a rooted one. We have not worked on the main problem and if we did not today, the train will by pass us. If we did not do it right, we will not be able to make decisions in Iraq. Others will make those decisions for us and in fact force them on us. Why, he asked. Because we did not bother to vote, he answered. It was curtailment and neglect on our part, beginning from myself, and including our organizations, intellectuals, writers, etc. We have 10 months to do something. We have 800,000 Suraye in Iraq and 400,000 outside Iraq and we must win 10 seats at least if not 12 to 15 seats. His Grace asked: how are we going to do that? We must not fool ourselves because if we did, we cannot get anywhere. We see many who state our Chaldean Assyrian Syriac people, our ChaldoAssyrian Syriac people … the intentions in such names are good as they reflect love for each other and signs of unity; however, it did not work in the elections. If we are one nation, Bishop Jammo asked, where is it? How much did this kind of talk convince us? Out of 1,200,000 only 36,000 voted. Is that all? Next in his presentation, His Grace Bishop Jammo tackled next the issue of what the various names mean, the issue of unity, and the oneness of our people. He stated that this talk about being one nation or one people did not work because something is wrong. If we did not weight our situation correctly, our people will not trust us; they could not be fooled. One can fool another once but not twice, we must face the problem and set it straight for the benefit of all of us and not only one group. He added that Chaldeans, Assyrians, and Suryaye are all Suraye, meaning Christians. Suraya is not the name of people (nation); it is a religious term, he stressed. Let us not mix up between Suraya and Suryaya. We say "lishana d Sureth" (Syriac language), which means the language of the Christian people. Suryan or Suryaya comes from Syria, period. Therefore, Suryaya cannot be a name of our nation. Bishop Jamma continued to state: "I cannot say Suryaya or Suryani to reflect an ethnic group in Iraq." The name Chaldean cannot be treated on equal footing with the name Suryaya or Suryani. The center of the Suryani people is Syria; therefore, there is a conflict when we try to equate Suryaya or Suryani with Chaldean, he explained. We say we are one people; however, we must be careful of what we are saying. The Suryani people in Iraq are the people of Iraq; however, this name does not reflect any ethnic Iraqi group. The language does not prove anything. The Americans speak English language; however, they kicked the British out. Language alone does not make a nation. His Grace continued to state: "Suryaya does not express Iraqi identity." We cannot create a block of people and say that Suryan and Chaldean are one nation … No … we cannot do that. Now, let us come to the name Athuraya (Assyrian), the bishop continued. Athur is Iraq … Athur is our ancestors … our heritage … our pride. That is Athur … Ashur … yes. However, an Iranian is not an Iraqi and an Iraqi is not an Iranian. An Assyrian association with Assyrian people from Iran, with an Assyrian voice of Iran, or with an Assyrian thought from Iran cannot impose itself on me, with my respect to the Iranian people. They cannot say we are one nation because we are not. Bishop Jammo continued to state: "I have no right to impose my philosophy on an Iranian and he does not have the right to impose his philosophy on me … I respect you and you respect me." Bishop Jammo continued to state that one who is from Urmia has a continuous heritage of Iran; it is not related to Bet Nahrain (Mesopotamia). If we examine the Suraye in Iraq, whether the mountaineers or plain people, we see that they understand each other's dialect. The grammar is the same. Meanwhile, in Urmia they have different grammar. When a Suraya speaks the Urmia dialect, the Suraya of Nineveh plain does not understand anything, and the opposite is true as well, meaning, when a Suraya of Nineveh plain speaks his dialect, the Suraya of Urmia does not understand. Therefore, we cannot say that we are all one umtha (nation), asserted His Grace. Bishop Jammo continued to state that we have Suraye living in Telkepe, Alqosh, Karamlesh, Batnaya and these villages are next to Nineveh in the heart of Assyria. Why do they call themselves Chaldeans? The Chaldeans living in Nineveh Plain would travel to Mosul and pass by Nineveh and Ashurbanipal palace; however, when you ask them what they are, they say that they are Chaldeans. Why, because they return to their origin, to their center that was Babylon and the last dynasty of Chaldeans. The Chaldeans do not have but the center of Babylon, Iraq … Baghdad. That is why the Chaldeans were part of Iraqi government and Iraqi people. Their hearts and history was in Iraq and did not leave it. Therefore, the foundation is Chaldean … if there is no Chaldean, there is no chance for Suraye in Iraq, emphasized Bishop Jammo. Bishop Jammo continued to explain the various terms used and stated, then there is the term ChaldoAssyrians. This is great … we want unity. However, how do we achieve it? If the foundation of one thing is not solid, it is not going to work. One cannot build a bridge without building its columns first. Therefore, Bishop Jammo added, I have to build Chaldeanism first. We have to build the column of Chaldo. The column of Chaldo must be in the center of the bridge and from one side of this should be the column of Assyrian of Iraq and from the other side the column of Suryaya of Iraq. This is the kind of bridge that we want. We cannot include the Suryaya of Syria because they do not have an Iraqi agenda … they have a different agenda, he explained. His Grace Bishop Jammo concluded his speech by stating that we must build the bridge of Surayootha. 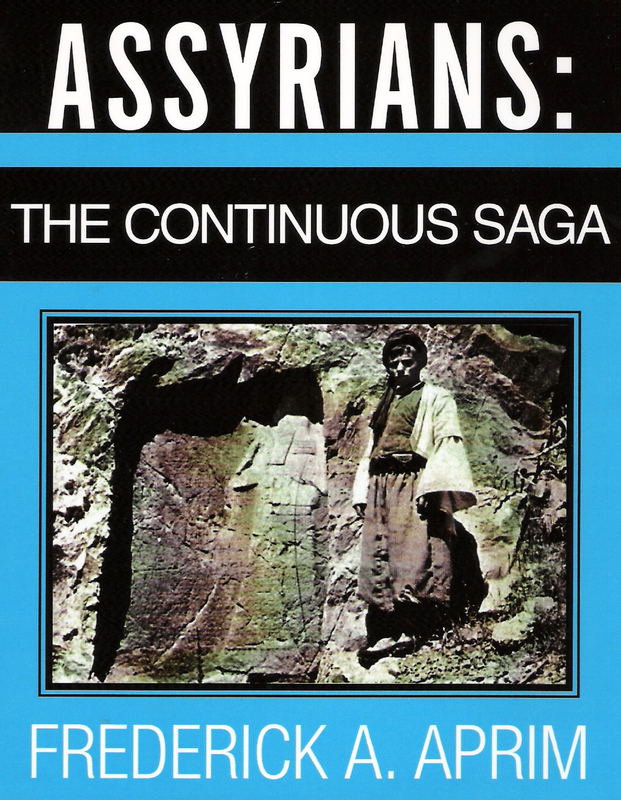 However, the enthusiasm of Assyrianism cannot attract Chaldeans; it attracts Assyrians. Chaldeanism must draw Chaldeans and then join forces with the Assyrians on equal footings. Thus, for this to work Chaldeans must build Chaldean column; Assyrians must build Assyrian column; and Suryaye must build Suryaya column and then work together and form a coalition that is balanced and accepted to all. Chaldeans must establish political organizations, like the Chaldeans National Congress, the Chaldean Democratic Union Party of Abd al-Ahad Afram, and the Chaldean Forum. These organizations cooperate with Assyrian and Suryaye organizations to reach an understanding and create a united slate that represent all Suraye in Iraq for the upcoming elections … such slate will be supported by all of us. The convening of the Iraqi National Assembly on March 16 symbolized a bitter realization for Iraqi Assyrians that the Iraqi road to democracy remains dotted with pitfalls. Assyrian Christians (also known as Chaldeans and Syriacs) were left reeling following the final certification of the elections on February 17 by the Iraqi High Election Commission (IHEC). Despite formal worldwide protests1 by over a dozen Assyrian organizations regarding vote fraud, threats, and killings targeting Assyrians, the IHEC final report white washed any protests by Assyrians and failed to accommodate demands for voting rights for disenfranchised minorities in the Nineveh Plain including Assyrians, Yezidis, Shabak, and Turkman. Even the UN report, eager to move ahead with a semblance of governance in the new Iraq, ignored all minority complaints of nearly total disenfranchisement. For Assyrian Christians, referred to as ChaldoAssyrians in the Iraqi Transitional Administrative Law (TAL, English, Arabic), democracy in Iraq has remained elusive and, at times, downright dangerous in some areas. A pre-election terror campaign by warlord Masoud Barzani's Kurdistan Democratic Party (KDP), as well as beheadings, beatings, mutilations, kidnappings and church bombings in Baghdad and Mosul, succeeded in drastically reducing Assyrian voter turnout in Baghdad, Kirkuk, and Mosul. On election day, when thousands of would be voters defied threats in the Nineveh Plain, armed thugs of the KDP simply stole the ballot boxes destined to the towns and villages of the Nineveh Plain (AINA, 01-31-05, 02-27-05). Voter lockout of Assyrians in and out of Iraq was also suspected. The end result for Assyrian Christians was an abysmal showing in the National Assembly. The disenfranchisement of Assyrians was to a level perhaps never before seen in Iraq, including during the reign of Saddam Hussein. Out of all of the independent Assyrian Iraqi slates including the Assyrian National Gathering (139), the Rafidain Democratic Coalition (148), the Rafidain National list (204) and the Chaldean Democratic Union Party (223), only one representative reached the necessary minimum threshold level of 29,000 votes, Mr. Yonadam Kanna of the Assyrian Democratic Movement (ADM). That one single representative was all that could be mustered from a population of 1-1.5 million Assyrian Christians inside Iraq, not including the several hundred thousand outside the country. Another Assyrian Christian representative succeeded to the National Assembly through the secular Iraqi List slate (285), headed by interim Prime Minister Ayad Allawi. Mrs. Wijdan Mikhael, although not part of an independent Assyrian political organization, has none the less received hopeful praise by some Iraqi Assyrians as someone who is aware of and sensitive to the critical issues facing indigenous Assyrian Christians in Iraq. Mrs. Mikhael's election through the Iraqi List slate reflects support given by some Iraqi Assyrian Christians to the moderate secular leadership of Ayad Allawi. In marked contrast, the election of four other Christian representatives from the Kurdish slate (Mrs. Jacklin Qawsan Zomaya, Mr. Ablahad Afram Sawa, Mr. Salim Petros Elias, Dr. Goriel Isho Khamis) poses a grave and ominous threat to legitimate Assyrian Christian aspirations in Iraq. The four Kurdish list Christians represent smaller fringe groups who, according to one analyst "have no standing in the communities they claim to represent." Moreover, "these groups knew they had no chance of garnering support; as a result, they allied themselves with Kurds simply to gain a presence in the National Assembly." Mr. Ablahad Afram remains one prime example. A self-described member of the KDP, Mr. Afram established the Chaldean Democratic Union under the explicit direction of the KDP in order to create a sectarian split between Christians from the Church of the East and the Chaldean Church. One analyst summarized "Mr. Afram's organization is an artificial creation and, were it not for direct support from the KDP, would not exist at all. It has no platform or mission other than to periodically declare -- at the behest of the KDP -- that Chaldeans and Assyrians are separate people." Another representative on the Kurdish list is Dr. Goreal Esho Khamis of the ChaldoAssur Organization, an affiliate of the Kurdish Communist Party. The third Christian member on the Kurdish list, Mr. Salim Petros Elias was elected as a representative of the Chaldean Cultural Society, another front organization sponsored by the KDP. Rounding out the list, Ms. Jacklin Zomaya was elected to the Assembly as a member of the Assyrian Patriotic Party. The APP likewise allied themselves with the Kurdish list because as one observer noted "fearing elimination and irrelevance, they joined with the KDP. In their calculus, they could not have won on their own." As far as the KDP is concerned, directing 4 out of 6 of the total Assyrian representatives in the Assembly virtually assures them near total control over Assyrian political aspirations. 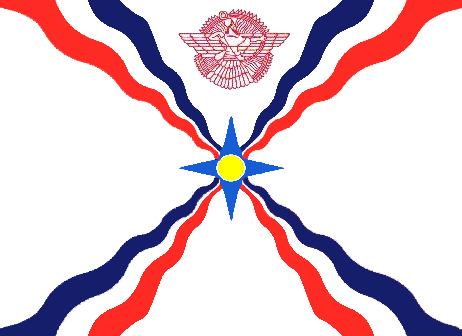 With Assyrians being a troublesome obstacle to Kurdish expansion into the Nineveh Plain, the KDP scheme hopes to capitalize on two important points regarding Assyrian Christians: institutionalizing a formal legal split amongst various Assyrian Christian communities based on self-identifying terms and the subversion of calls for an Assyrian self-administered area in the Nineveh Plain. 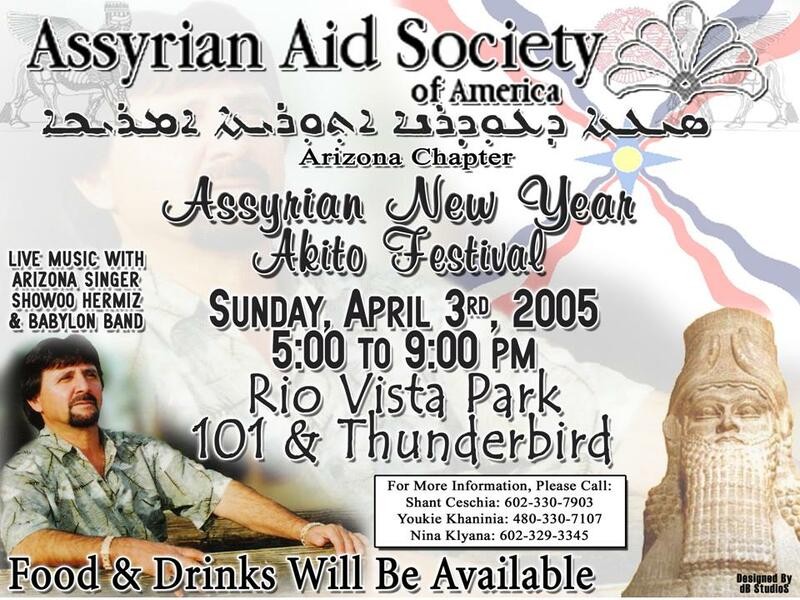 Following the fall of the Baathist regime, the Assyrian Democratic Organization (ADO) and the Assyrian Democratic Movement (ADM) cosponsored the Chaldean Syriac Assyrian Conference in Baghdad during October, 2003. The two most important points of agreement that emerged from the conference were the consensus decision by all of the communities to legally refer the "Chaldean Syriac Assyrian" people as "ChaldoAssyrians," and to demand the establishment of an Assyrian self-administered area in the Nineveh Plain. Through perseverance, both points were incorporated into the TAL, with article 53D guaranteeing administrative rights for ChaldoAssyrians. The KDP strategy is geared to attack these major Assyrian political objectives head on. First, by propping up groups who maintain fabricated sectarian-ethnic identities and declare that Assyrians and Chaldeans are separate people, the KDP hopes to fragment the third largest demographic group in Iraq -- the Christians -- into smaller, less significant fragments. As one Iraqi noted, "Mr. Ablahad Afram has evolved into the point man to drive the KDP wedge into the consensus position." Secondly, the Assyrian desire for a self-administered area outside the direct control of the Kurdish occupied region is anathema to the larger Kurdish vision of an ever expanding "Kurdistan" reaching west through the Nineveh and Dohuk provinces to the Syrian border. As one Assyrian analyst noted "They (the KDP) have drawn their map and it includes the whole of the Nineveh Plain." Furthermore, in response to independent Assyrian calls for a self-administered area, the analyst added "it is widely believed that the four Christian representatives on the Kurdish list have foresworn any ambition for administrative rights in the Nineveh Plain except as a wholly owned and subjugated portion of the Kurdish occupied area." For Assyrians, that leaves only one or at best two representatives, themselves under threat, to fend for themselves in an Assembly of 275 controlled by much larger blocs. 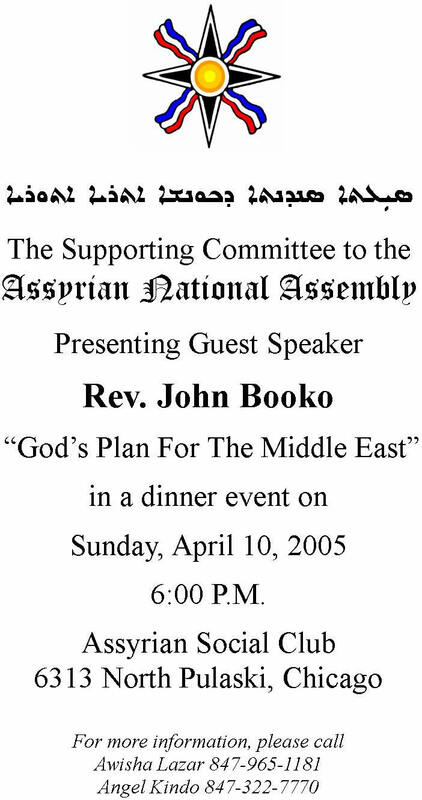 For the KDP, appointing the bulk of the Assyrian Christian representation in the Assembly has kept alive KDP dreams of incorporating the Nineveh province into the Kurdish occupied region. For the Assyrian leadership, the move has been a predictable continuation of the ongoing policy of KDP expansion, then consolidation, and then homogenization of adjacent areas by ethnic cleansing. One analyst summarized the KDP strategy by noting "The KDP has executed a carefully orchestrated 3 pronged strategy of violently terrorizing the Assyrian community, deliberately blocking any real ability to participate in the democratic process, and finally, cynically propping up illegitimate organizations to be our official representatives." One activist adamantly summarized the widely held mainstream Assyrian view by saying "Mr. Barzani can add as many Christians to his list as he likes. These so called leaders are Barzani's representatives, not ours. They don't have the backing of the community and widely known to be there simply to subvert our genuine and legitimate aspirations as a people." For the indigenous Assyrian Christians as a whole, the very process that produced this scenario remains at its root undemocratic and illegitimate. (ZNDA: London) The finest jewellery of the ancient world is to be loaned to Britain in an exhibition set to rival the popularity of Tutankhamun at the British Museum 23 years ago. The Nimrud Gold, comprising the grave goods of Assyrian queens and princes, has barely been seen in Iraq, let alone anywhere else. The treasure, which was found in the North-West Palace of Nimrud, south of the modern Iraqi city of Mosul, in the late 1980s, dates from the 8th century BC. It was feared lost when Iraq fell victim to looters and anarchy after the fall of Saddam. The unprecedented worldwide tour has been organised to raise more than $10 million (£5.3 million) for the National Museum in Baghdad, which was the biggest victim of the looters. Neil MacGregor, director of the British Museum, described the theft of treasures from the museum as the greatest catastrophe to afflict any great institution since the Second World War. The Art Newspaper reveals this week that an exhibition of the jewellery will open on October 23 at a venue in Europe to be announced next month, despite concern over the artifacts going to countries that led the military action in Iraq. The show will then tour for five years to eleven other cities in Europe, North America and the Far East. Preliminary discussions for a loan have been held with the British Museum and that the Royal Academy has been approached over the project. Iraq’s heritage is that of the world. Ancient Mesopotamia — modern Iraq — represents the cradle of civilisation as the birthplace of writing, cities, codified law, mathematics, medicine and astronomy. The British Museum boasts the greatest collection of Mesopotamian antiquities outside Iraq. Exhibits include the iconic winged human-headed bulls and stone bas-reliefs found in the palaces of the Assyrian kings at Nimrud and Nineveh. A vault beneath Iraq's Central Bank in Baghdad contained treasures, such as this golden crown, that were excavated starting in the 1980's from the palace of King Ashurnasirpal II in the ancient Assyrian capital of Nimrud, in northern Iraq. The antiquities date to the 8th and 9th century B.C. The Gold of Nimrud: Treasures of Ancient Iraq will display about 300 objects that are currently in a high-security store at the National Museum. The treasures were thought to have been looted during the chaos that followed the capture of the Iraqi capital by American forces, but were found intact in a basement of the Central Bank. They had been placed there in the early 1990s, possibly to protect them during the 1991 Gulf War. In 2003, the American authorities put them on show for several months in the museum to demonstrate that life in the capital was returning to normal. Apart from that spell, the gold has never been seen by Iraqis. (ZNDA: Melbourne) Choir members give thanks and praise after an Easter service at Our Lady of Plants, the newly opened Chaldean Christian church in Campbellfield. Choir members give thanks and praise after an Easter service at Our Lady of Plants, the newly opened Chaldean Christian church in Campbellfield. When Iraqi refugee Nora Murad came to Australia in 1996, she knew no one other than her parents and seven siblings and spoke no English. Ms Murad, now 26, credits her church with easing her way into Melbourne life. The Murads are Chaldean Christians, a Catholic faith founded in the first century by St Thomas the Apostle. Chaldeans make up 3 per cent of Iraq's population. Iraqi militants recently bombed five of their churches, killing dozens of people. Melbourne's Chaldeans - a close, devout community of 8000 people - celebrated this Easter inside their first permanent church here, Our Lady Guardian of Plants. The name derives from centuries ago when followers lived in agricultural northern Iraq. Although the concrete edifice on Campbellfield's Somerset Road is unpainted and unfurnished, it hosted Easter services yesterday as a way of thanking parishioners, who raised $1 million of the $3.5 million budget. Each parishioner was asked to donate $250, but a Port Melbourne businessman gave $65,000. The Catholic Development Fund paid the balance. The church, 50 metres long with an 11-metre-high roof, is Babylonian in design. Ancient Babylon was the pre-Christian capital of the Chaldean empire. A dome rises 14 metres above the altar and is topped by a steel Chaldean cross. The altar will be hand-carved from Australian wood by sculptor Miriam Porter. 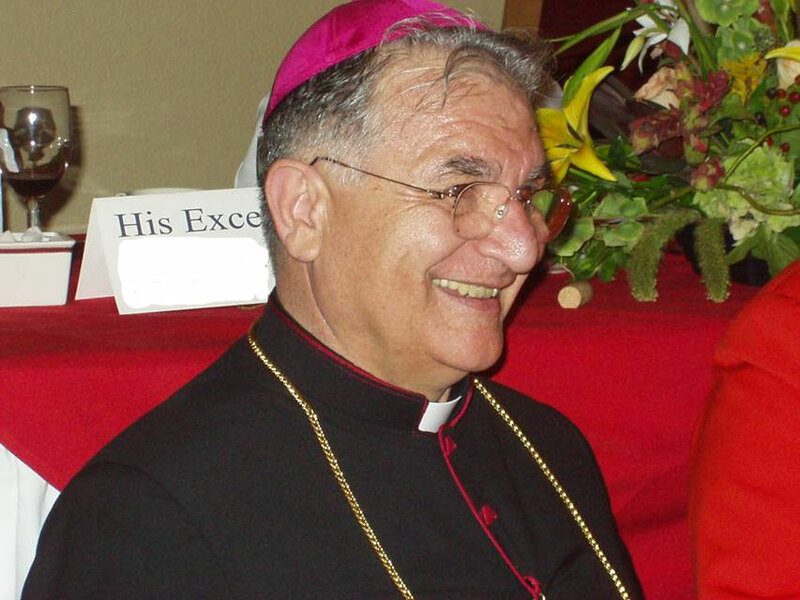 Father Emmanuel Khoshaba established Melbourne's first Chaldean congregation in Coburg in 1984. The congregation moved to Broadmeadows then Bulla, before renting a small hall in Somerset Road that held just 350 people. The new church will seat more than 1000. "This is just a dream come true," Ms Murad said. In their village in northern Iraq, the Murads owned two hotels and a house, which were destroyed by fighting between local Kurds and Saddam Hussein's government. The Murads fled to Turkey but, as illegal immigrants, they could not go to church for fear of being identified and sent back to Iraq. Ms Murad said it was a joy to speak her own language and be able to worship again in Melbourne. Another parishioner, Raghad Misho, described the new church as unbelievable and beautiful. "I'm really proud of it," he said. "Everyone who comes to the church can feel very safe and at peace. It means, to them, everything." (ZNDA: Detroit) An electrician was severely burned while working in West Bloomfield Township in Michigan on Friday afternoon. The 37-year-old man was installing wiring in the Chaldean Cultural Center at the Shenandoah Country Club at Walnut Lake Road near Drake when he was injured in a flash fire. The man suffered burns to his hands and face. He was treated at the scene by paramedics from the West Bloomfield Fire Department and was taken to William Beaumont Hospital in Royal Oak to be treated, according to a news release from the fire department. The man was later airlifted to the University of Michigan Medical Center in Ann Arbor. The status of his condition was unknown. The fire forced the evacuation of staff and contractors working on the building, fire officials said. Several main electrical panels suffered extensive damage in the fire and there was smoke damage to a portion of the cultural center, according to the release. The cultural center's sprinkler system prevented the flames from spreading, but the damage was estimated at about $300,000. On behalf of all Assyrian soldiers here in Iraq, I send you our best wishes, wishing you all the best. Eedokhon breekha, w' khaya omta atooreta (Happy Easter & long live the Assyrian nation). Warmest greetings to Zinda Team, and to our Assyrian people and organizations all over the world. Hope that the coming year will bring success and prosperity for all and unity among our Assyrian organizations in their demands for our National Rights in Assyria. The Iraqi Republican Liberal Party wishes all the Christians all over the world in particular in Iraq a happy Easter. Thank you so much for your kind words. May God bless you all for the beautiful work you are so dilligently doing with the magazine and for our Assyrians all over the globe. May I take this opportunity to wish you all a very happy Easter, showered with the blessings of His Almighty God for all the Assyrians worldwide. May God protect our people living in countries that are not so kind towards us. Bravo Zinda Editors, first and foremost, I extend my wishes to all my brothers and sisters around the world. Happy New Year! I was so impressed with your quality of submissions by our very talented and articulate Assyrians. I would like to thank Mr. Rabin Bet-Khodoo for his excellent work on the history and traditions of his Assyrian heritage. Well done Mr. Rabin! Also, a note of mention to Mr. Ivan Kakovitch's "Epic of Ideologies". Excellent work! It makes me proud to read this magazine every week, because we have very intellegent people who have much to say. I salute you all. I do have one comment about the "Chaldo-Assyrian" name debate. After much debated issues and opionions, I think both sides agree to disagree. I never knew that the Chaldean name was given by the Roman Catholic Church when they separated themselves from the Church Of The East. However, I do question why anyone who is from the "Ancient" Church Of The East would join with The Catholics? To Rabin Bet-Khoodoo: Your article is an inspiration and a hope for all Assyrians. Even with your physical disability you're more able than many. Keep up the good work and keep on writing because Assyria needs people like you. I am so angry, I can hardly contain myself...what an absolute slap in the face to all Assyrians...now I am almost more furious that you did not print an answer to Mrs. Bush's unbelievable statement....I wonder if her son "knows what the student was talking about" or her husband. What a mess this counbtry is in with these idiots in control of our lives -and I refer to the US - and of course they have totally ruined Iraq and have arabs everywhere hating us.......Oh my!...Now I would like a reply, please, on the outcome of the Bush story. During Imperial times, the Assyrian kings ruled over their subjects including the clergy and made sure that the high priests behaved. Over two millennia of statelessness has taken its toll on our psyche and national character, and has caused our affairs to slip into total disarray. So unfortunately it is open season for the likes of Sarhad Jammo - a person who in the name of our Lord Jesus Christ stands for falsehoods and disunity - to manipulate his flock (the fact that this person, who is such a poor example of Christianity, was elevated to the rank of a bishop is very telling of the state of our Churches today). I hope to see us go back to our roots, and witness the day when our national organizations grow strong enough to keep our clergy in check and make sure that they behave properly and responsibly. Since the rulers in Iran and Iraq are religious leaders, I suggest you remind them of the Charter issued by Caliphs to Nestorian Patriarchs and explain to them their responsibility under that Charter. It is my opinion that it is fruitless to appeal to UN or US government to protect Assyrian human rights but to Shia and Sunni religious leaders. And also remind Masud Barzani that it was Mar Benyamin and Malik Barkhu that saved his family from Turkiish gallows. Your magazine is always encouraging and informative which help us to keep update information. I have one suggestion, whether you can also provide some lessons on website for learning Aramaic, Syriac and Farsi for younger generation who are away from original folks. Wishing you all a Happy Easter; Christ is Risen. He is Risen Indeed, Halleluiah. Only this evening while surfing in search of Archbishop Paul Karatas' address in Turkey, did I discover that he died on January 16th (see Zinda 18 January). I knew Paul over three years in Paris while we were students for the Priesthood. Paul was ordained, I did not continue along that Road. We lost contact, although the memory of Paul Karatas has never left me. While I was born in England, my Family and early life are in Ireland. Paul came on a visit to Ireland in 1967. He stayed at my home for a while and with another family for some weeks to perfect his English. Unfortunately, we lost contact. The years past. Two weeks ago while sorting my archives, I discovered Paul's last existing letter to me dated 14 June 1969 from Istanbul. It was my intention this evening, after all those years, to write to him enclosing a copy of his letter and renew contact. Imagine the shock when I opened the Chaldean Site for his postal address only to discover that he has, so recently, gone to Paradise. The news will be a source of great mourning for many, yet we will rejoice in being blessed at how he touched our lives while Passing. I return to Paris for a short stay as from 4th April, (this I had planned for some time) to renew such valuable recollections. There is another war going on today in Iraq about which little is heard. It is a war against Christianity. Christians in Iraq are a comparatively small, windling minority: fewer than 800,000, merely 3 percent out of a population of 26 million. Though Iraqi Christians are a minuscule minority, they suffering unrelenting Muslim persecution. The Iraqi Christian population, once was more than 15 percent, decreases daily due to emigration to safety in Western countries. Muslim persecution in Iraq of Christians was highlighted in January when Archbishop Basil Georges Casmoussa in Mosul was kidnapped. Cooler Muslim heads must have prevailed because he was released the next day. Iraqi Christians have historically played an important role in the country. Tariq Aziz, 69, now in coalition custody, and once a familiar face on Western TV, is a Chaldean Catholic. During Saddam's dictatorship, he was Iraqi foreign minister and later deputy prime minister and at one time was even targeted in an assassination attempt by Iranian Islamic terrorists. It is a paradox that during the Saddam Hussein dictatorship, Iraqi Christians "enjoyed considerable religious freedom," according to Nimrod Raphaeli, senior analyst with the Middle East Media Research Institute. Successors to the dictator Abdul Karim Qassem, assassinated in 1963, employed Christian women, who all spoke excellent English, as I then noted. They were practicing Chaldean Catholics under guidance of a Belgian priest who conducted his office without let or hindrance. All that has changed. Last August, five churches in Baghdad and four in Mosul were hit in a single day's attacks that killed 12 people. In October, five churches in Baghdad were hit on the first day of the Muslim month of Ramadan. In November, eight people were killed in two church bombings. It is considered justifiable homicide to kill a Muslim convert to Christianity. Iraqi Christians are now specifically targeted by the Islamists because they allegedly collaborate with what is called the "invading crusading army" or simply because they are labeled infidels and therefore fair game. Iraqi Christians report destruction of Christian businesses, harassment of Christian university students and especially Christian women, who are forced to wear the veil. The Christian "collaboration" allegation is true in that because most Christian schools give English a high priority in the language curriculum, the multinational forces naturally have hired Christians for office work, especially translation. Because of discrimination against Iraqi Christians in the public sector and the military, Christian businessmen have entered the service and retail sectors of the economy, which included liquor stores. Islam bans alcohol so the liquor retail business was taken over by Christians to sell to their co-religionists. They have prospered because, says Mr. Raphaeli's report, many Muslims ignore the Koran ban on alcohol. In fact large sums garnered by the Saddam regime under the "oil for food program" were used by Saddam to import fine wines and liquors for himself and his cronies. With the fall of Saddam, Islamists ordered the Christian liquor store owners to close shops. Islamists gutted the liquor stores when their owners failed to shut down. Some recalcitrant owners were shot and killed. Christians have complained that, after being driven out of the liquor business, Muslims moved in to their stores and continued selling liquor publicly. Christian Iraqi university students are hassled by Muslims. At the University of Mosul, Iraq's second-largest, 1,500 Christian students, in fear for their lives, have stopped attending classes. "As leaders of the Christian communities in Iraq, we are pained by what has happened to our country. There is destruction of our people, resources, buildings and churches. We grieve over the tragic death of many of our children and the injuries and psychological shocks suffered by others." This is the unreported war in Iraq, a war which will go on until not a single Christian, nor a single Christian church, remains in Iraq. And it is a war supported by Muslim clerics, whether Sunni, Shi'ite, or whatever sect. On 30 January 2005 our people have given their verdict and that is that we do not belong to a centralised system of government that marginalises our existence in our own homeland the land of our forefathers. The refusal of our people to vote indicates a serious concern that must be taken seriously by all Assyrian politicians and activists to relay this message of rejection to the status quo position into a wide and robust national Assyrian action for self determination that has been long overdue due to political tinkering in the past hundred years by both local and global masters. The groundswell and shake up of the political system in the past two years following the fall of Baghdad on 9 April 2003 show us beyond any illusion that this state formed after the Armistice of 1918 is unworkable unless it goes through a process of Yugoslavisation ie a federation of minor states that will go free after a decade, two or so. There are at least four national components which make up this state, the Kurds in the north east, the central Arabs, the southern Arabs and the Assyrians and their compatriots (the Yezidis and other minorities who live with them in their geographical heartland). Here I speak on behalf of my people the Assyrians and appreciate any ethnic group not mentioned here to seek their own redemption. The old system of governing has failed and is defunct where a minority in the centre wants to rule the whole country by force willy-nilly; the southern Arabs had enough of this abuse and are not interested in governing the whole country and do not have the means to do so but are determined to run their own parts even if that leads to disintegration or partition; the events of the past two years clearly and indelibly mark such desire. The southern Arabs are content with their own massive areas from south of Baghdad down to the Gulf manned by a large population and sustained by huge oil reserves beneath their soil. Our Kurdish neighbours in the north east are also determined to keep their status bestowed to them since 1991 and even moving few steps forward to legalise that existence by a federal law that they want to promulgate. Where do we the Assyrians stand following this rout and spoil especially after the verdict given by our people on 30 January 2005 elections-no to status quo and no to centralised system? The current state is internally delineated and apart from the three groups who share the big slices of the pie, the only losers are the remaining ethnic groups and the Assyrian/Christian group is the most vulnerable group unless an urgent action is taken to salvage the ‘Last Stand’ from extinction. The inherited state is divided between the three groups in the form of provinces and while the Kurds have 3 provinces, the centre and southern Arabs share 15 provinces among them. The Assyrians form the majority of the Christians in the land and have been denied such privileges even though they are historically and logically considered the native and indigenous people of the land. Since the creation of the current state the Assyrian heartland which is roughly defined as the land subtended between the Tigris river and the Upper Zab has been denied the central funds and is judged the most neglected area in the country due to prejudices subjected against the Christians in competing with other non Christian areas within the province of Nineveh which once included the current Duhok province. The current policy of grab advocated by the major three groups urges us to seek our own salvation and destiny lest we disappear overnight and the solution is to force our way and challenge those in the corridor of power in today’s state. We ask and not beg for an Assyrian province in the land between the Tigris and Upper Zab and this means splitting of Nineveh province into two east and west of the Tigris river and that also requires the inclusion of our areas from parts of Duhok province. Remember this geographical area is not only ‘the Nineveh Plain’ but the whole land between the two rivers and that includes plains, valleys and mountains. The outcome of this scheme will give us a fully administered Assyrian province shared by Assyrians and Yezidis and all other inhabitants of that geographical area in the middle and flanked by partial Assyrian presences in west Nineveh province and Duhok province and Arbil province. This Assyrian province in the middle of the north will be fully Assyrian in identity and neither be part of any neighbouring provinces which meant neither Kurdish nor Arabic in substance. It will remain part of the central state until local autonomy is formalised for this fledgling new status in par with the statuses of the other provinces of the country. The Assyrian province will be allocated funds from the central treasury and this money will be used for the first time in rehabilitation and modernisation programmes to facelift the province that was subject to neglect ever since the creation of state. The province will be multi ethnic and multi ecclesiastical and each town and village will retain its nature apart from reversing the demographic change that was imposed in the past. This will consolidate the freedom of each ethnic background and buttress the ecclesiastical denominational identity of each town and village. Each town and village will run its own affairs and hierarchical posts will be given according to the will of the majority. All present Assyrian towns and villages are overcrowded and built in arable lands therefore new towns and villages must be constructed to house and manage the population growth and the return of our people in Diaspora. New towns and villages must be built on the slopes of mountains or adjacent to rivers and in sparse areas along the province to give the province an Assyrian existence. This will be true as our people tend to aggregate and upon approving such province the presence of our people in Baghdad and Basrah for example will become unwanted; many of our people will return to the heartland because as events proved the de-secularisation of society will clash with our presence in other parts where strict one sided culture is enforced. The multi culture nature of Kirkuk for example might make it workable as a metropolis northern city but events in the future will further test that. The economy of the province funded from central treasury will flourish and plans for development will be forged in fields of agriculture, dairies and light industries. A tourist village should be constructed with modern facilities to attract world tourists as we have the correct climate for such tourism industry and historical and ecclesiastical sites to show. The proposed province once approved will opt for better education system, better transport communication facility and will run itself by its own sufficient police force. It will also adopt its own national flag and anthem and the relationship between this province and the centre will be in par with other provinces. If they go solo we go solo too. Our people in Diaspora are not content with their lives as aliens and stateless in foreign countries and in my view up to 50% might return once we have an autonomous province in our heartland in the northern Mesopotamia and up to 85% might return if we have a full independent state. This is our solution and our demand and we are determined to see that implemented and we tell it without hesitation and let the central government know we will not back away until that hope comes true and if hard press we go for a full independent state and take to the streets worldwide as we have done in recent months. Music of the Syriac Orthodox Church is enriched and has a sterling history running from the beginning of our times derived from the ancient Sumerian and Akkadian musical period. 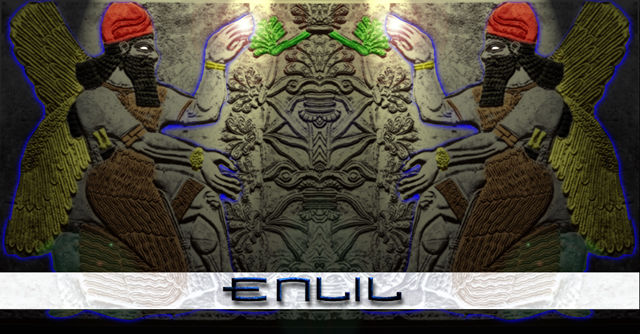 Excavations proved that music in Mesopotamia began with the Sumerians in 4500 BC and that there were schools of music in that area since that time. Music used in many fields of life especially in the religious ceremonies where it played an imported role. The Akkadian Octave (from one note to its equivalent in a higher register) was divided into 24-quartertones. Every eight keys formed a scale. These scales did not get over the entire octave; while they were built on the first four tones only (tetra chord). These tetra chords were combined thereafter with each other until they made up to 3000 different complete scales. Many of them did not give musical satisfaction and were reduced to almost 200. Today about 10 are in use. The early Christians sang different type of songs and especially from the Psaltery. The early Church decided to pray and sing in Aramaic the lingua franca of that time. Already though, with the establishment of the Church, the Akkadian seven-tones´ scale was used, the tones which came to Palestine probably with the returning Jews who were liberated by Cyrus about 539 BC. These scales have been used in Jerusalem from 444 BC. After the destruction of Jerusalem in 70 AC, the early believers moved to Antioch together with Peter the founder of the Christian Church of Antioch. At that time Antioch was an important bridge between east and west and the point of meeting for other cultures. After the arrival of Christianity into the Middle East between the 2nd and Third Century, the Christian mass service in Antioch was standardized by using the main Akkadian tones, but in a particular order. Scales from Akkad the took form of eight different tones, a new one for each Sunday, beginning from the Church Consecration’s Sunday (first Sunday in November). These eight scales became the basis of the oriental music which is used until today throughout the Middle East, Greece, and North Africa. Bar Dayson (154 – 222 AD) composed 150 hymns. His hymns were so popular that they were sung generations after him. He fell into conflict with the Syrian Orthodox Church authorities. St. Ephraim (303-373 AD), as the successor of Bar Dayson in introducing a new form of music into Church, was to remove Bar Dayson’s teachings. He wrote nearly thirty thousand hymns and established the women choir. St. Ignatios I Nurono "the Illuminator" (68-107 AD) founded the two alternating choirs. The holy Chamoun Ibn Sabaghin of Babylon thereafter introduced this form in the Eastern Church in 341. He called choirs as "Chorous". St. Ephram was followed by many famous church leaders like Rabula (360-435 AD), Shamoun Quqoyo (485-536 AD) and others. St. Jacob d’Orhoy (of Edessa) (+708) gathered all kinds of musical forms in the Syriac Orthodox Church and released them in the current musical structure form . All these hymns are protected today in the Beth Gazo (The Treasury of Chants) which contains up to 2500 different compositions, out of which about 700 or so survive. In the 1992 the Syriac Musician Nuri Iskandar released a notated Beth Gazo. To Readers: Zinda Magazine will not be published on 2 April 2005 as our staff will be taking a short break to celebrate the Assyrian New Year. We will be back next wednesday, 7 April.